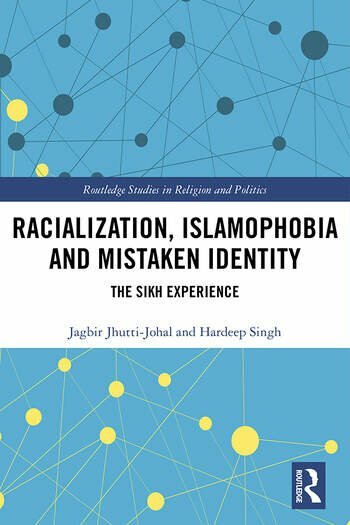 Exploring the issue of Islamophobic attacks against Sikhs since 9/11, this book explains the historical, religious and legal foundations and frameworks for understanding race hate crime against the Sikh community in the UK. Focusing on the backlash that Sikhs in the UK have faced since 9/11, the authors provide a theological and historical backdrop to Sikh identity in the global context, critically analysing the occurrences of Islamophobia since 9/11, 7/7 and most recently post-Brexit, and how British Sikhs and the British government have responded and reacted to these incidents. The experiences of American Sikhs are also explored and the impact of anti-Sikh sentiment upon both these communities is considered. Drawing on media reporting, government policies, the emerging body of inter-disciplinary scholarship, and empirical research, this book contributes to the currently limited body of literature on anti-Sikh hate crime and produces ideas for policy makers on how to rectify the situation. Providing a better understanding of perceptions of anti-Sikh sentiment and its impact, this book will of interest to scholars and upper-level students working on identity and hate crime, and more generally in the fields of Religion and Politics, Cultural Studies, Media Studies, and International Studies. Chapter 3: UK - Do Sikhs count? Jagbir Jhutti-Johal is a Senior Lecturer in Sikh Studies in the Department of Theology & Religion at the University of Birmingham. Hardeep Singh is a freelance journalist, Deputy-Director for the Network of Sikh Organisations and Assistant Editor of the Sikh Messenger.